Design & Promote started as a one-man company. The founder of Design & Promote was able to take a trade show company, know for its innovative designs, from a one million dollar a year company, to a 10 million dollar a year company. At this point, he knew he had the skills and know how to branch out on is own and start Design & Promote. Now, we offer much more than Search Engine Optimization services in Aurora, such as Pay Per Click, website design, Email marketing, content writing and more. If your company is looking to increase its website traffic through our Search Engine Optimization services in Aurora or if you have any other questions pertaining to our other services such as website design and Social Media Marketing (SMM), call us today at 630-995-7109. You can also reach us by completing the easy to use contact form located on this page and we will return your inquiry shortly. Most search engines, and particularly Google like websites that make it easier for online users. Our methods here at Design & Promote take advantage of your keywords by creating and expanding content for these keywords with landing pages. The purpose of a landing page is to optimize for one of your keywords in order for that page to show up in an online user’s search query. By showing up higher in Google for your keyword, you increase your chances of searchers landing on your site. With well-written content, you increase your chances for conversion by providing answers that the user was looking for. Our methods are aimed at pleasing the user in order for them to view your website and business as credible and reliable. 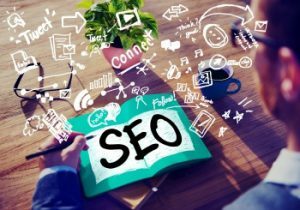 For more information on our Search Engine Optimization services in Aurora or if you would like to learn more about our other Digital Marketing solutions, give us a call at 630-995-7109 today. Or simply fill out the contact form on this page and we will get back to you as soon as possible.